DURANGO, Colo. – Ninety-four high school students from Colorado, Kansas, Oklahoma and Wyoming participated in the 38th anniversary of Colorado Electric Education Institute’s Cooperative Youth Leadership Camp in Steamboat Springs, Colorado from July 14-19, 2018. Local delegate Justus Logan of Pagosa Springs was sponsored by La Plata Electric Association, Inc. (LPEA), Durango. 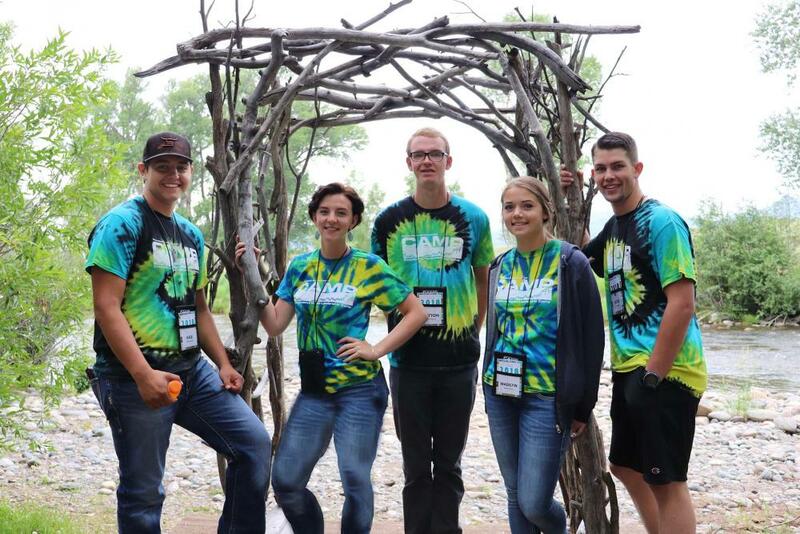 (L-R) Kale Hall, Emily Cole, Britton Brewer, Madilyn Hankins and Justus Logan traveled to Steamboat Springs, Colorado to attend the Colorado Electric Education Institute’s Cooperative Youth Leadership Camp. The delegates were sponsored by La Plata Electric Association, Inc. and Empire Electric Association, Inc. The six-day camp provided an action-filled trip for high school students, offering them a greater understanding of how their electric cooperative operates by creating their own cooperative. The students learned leadership and teamwork skills while participating in daily cooperative membership meetings, establishing committees, and electing a general manager and board of directors. They also learned about power generation by touring both Trapper Mine, a surface coal mine, and the neighboring Craig Station Power Plant. The students participated in a leadership and empowerment seminar hosted by Rodd Welker, Eagle Advisor Group CEO, and learned the importance of inclusivity and collaboration. Students attended an electric cooperative careers presentation, electric generation, transmission and safety demonstration presented by electric cooperative employees. Even the scheduled leisure activities offered learning opportunities as the students worked together maneuvering their river rafts down the Colorado River, competed in a volleyball tournament and showcased their entertaining skills at the annual talent show. The students also toured downtown Steamboat Springs and enjoyed an evening dance and swimming during their free time. The 2019 Cooperative Youth Leadership Camp is scheduled for July 13-18, 2019. For information regarding the Cooperative Youth Leadership Camp or National Rural Electric Youth Tour to Washington D.C., contact Lonnie Tucker, 970.382.3511 or ltucker@lpea.coop. LPEA, a Touchstone Energy Cooperative established in 1939, provides to its more than 30,000 members, with in excess of 42,000 meters, safe, reliable electricity at the lowest reasonable cost, while being environmentally responsible. For additional information, contact LPEA at 970.247.5786 or visit www.lpea.coop.